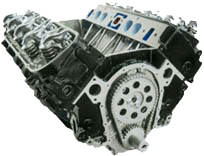 Basic Power Industries, Inc. is a leading supplier of new and remanufactured marine engines. Boaters who previously purchased our engines years ago continue to look to us for quality engine replacement. The ProPower Gold name is only used on the very best marine engines on the market today. First Mate has recently been chosen by Basic Power Industries, Inc. to carry the flag for our ProPower Gold marine remanufactured engine line. After extensive investigation to the consistency, longevity, and most importantly, quality and customer service, they have proven to outlast the “here today - gone tomorrow” engine rebuilders. First Mate engine division is a strictly marine, engine rebuilder who knows what it takes to build an engine to stand up to the rigors of the marine environment. Accessories and additional engine parts are available at a discount with engine purchases. Help is just an email or phone call away. Basic Power has no message machine or voice mail during normal business hours. A Basic Power repower specialist is always available to discuss and advise you for your repower needs. Just call (252) 504-3355 or Click Here to reach us. We appreciate your business. Quality Marine Engines to fit every budget. Your complete satisfaction is our first concern. We offer Marine Long Blocks. 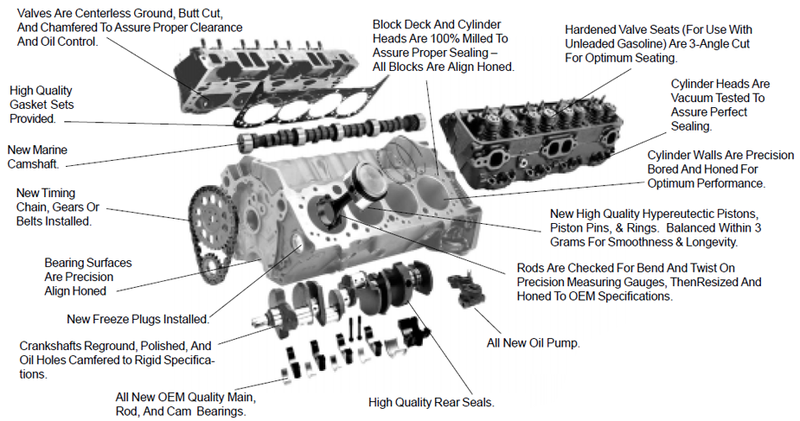 If you need an engine that is not listed, please call us for a quote. All ProPower Gold engines are shipped in a high quality crate.